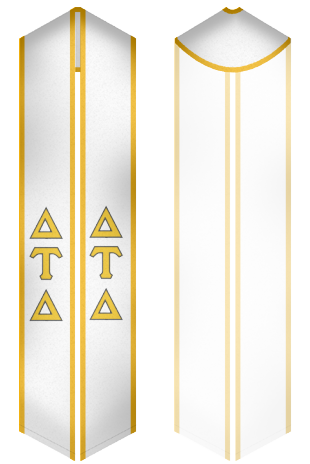 Delta Tau Delta is an international but US based secret society founded in 1859 at Bethany College. 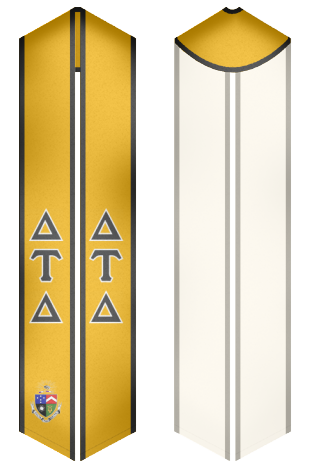 It has 135 active chapters and has 25 regional alumni groups. It is a partner with the diabetes organization JDRF. It takes pride in other philanthropic work as well and its alumni support various causes. The society is home to several famous alumni and has produced high ranking officials. Being part of this fraternity is an honor nonetheless and what better way than to show your peers that you belong to this prestigious society. 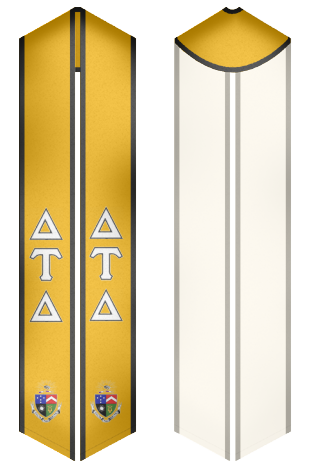 Choose from our wide range of pre designed sashes or make your own and make your graduation memorable.